It’s all about quality for expert skiers: great, abundant snow and challenging terrain. 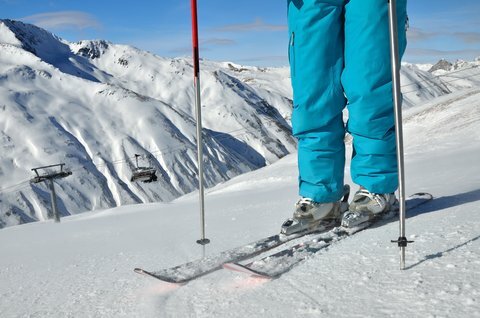 There are dozens of excellent North American ski resorts to accommodate the most expert skier, but among the best are these favorite five that are true winter meccas. Alta was the first ski area in Utah to install a lift in 1938. The resort is often referred to as a skier’s mountain and is known for spectacular scenery, the diverse terrain, and the quality of the snow it receives season after season. Alta is unique because it doesn’t allow other types of winter recreation: it’s just for skiers. No other snow-sliding equipment is allowed here, including snowboards. The experts who ski Alta appreciate that purist feel, a big part of making this gem of a resort a favorite destination. Deep powder snow, soft groomers, and the breathtaking scenery make skiing Alta memorable. The resort’s best-kept secret? While known for the expert-level powder slopes, you can bring along less-skilled friends and family since the resort has some great beginner and intermediate terrain. Silverton offers amazing skiing in every direction for advanced and experts only with no groomers and no clear-cut runs. It’s all thrills and no frills, with one chairlift giving access to 1819 acres of amazing descents. There are bowls, cliffs and chutes on Silverton Mountain, the highest and steepest ski area in North America with a peak elevation of 13,487 feet and no easy way down. The mountain has been left in its natural state with that single lift dropping off skiers at 12,300 feet elevation, unloading at the top of a gorgeous cirque that provides easy hiking along a ridge to access terrain that can total a 3000 foot vertical drop in a single run. Revelstoke boasts North America’s greatest vertical at 5620 feet and offers 3121 acres of fall-line skiing, high alpine bowls, renowned gladed terrain and seemingly endless groomers. etting to Revelstoke by car is arguably the most spectacularly scenic drive in Canada. Traveling from the east you pass through two National Parks in the Selkirk Mountains with views of white-water rivers, pristine forest, dramatic peaks and glaciers. From the west, you approach through the beautiful Okanagan Valley. The resort offers family fun too, in the Turtle Creek Tube Park. Carved into the slopes of the Sierra Mountains, Squaw Valley built its legacy of exceptional skiing for experts as the host for the 1960 Winter Olympics. 3600 acres of skiable terrain includes forgiving areas for beginners and plenty of thrills for advanced skiers over more than 170 trails, 16 bowls, and long runs of up to 3.2 miles. A total of 29 lifts operating here have an uphill capacity for 53,595 skiers per hour, and Squaw Valley has snowmaking on 11 of those lifts. Helping out Mother Nature here is rarely necessary: average annual snowfall at Squaw Valley is 450 inches. That consistent snowfall stays well into spring so the resort boasts one of the longest ski and snowboard seasons in America. The scenery is stunning, with views of the translucent waters of Lake Tahoe and terrain that can accommodate all skill levels: gnarly to nice, tough to tame, scary to sedate. Varied trails, bowls and chutes keep extreme skiers coming back to Squaw Valley’s progressive terrain where the vibrant ski culture spans from the village to the six skiable peaks. Less well known than many other Colorado ski destinations, Telluride still has its own celebrity following with the likes of Tom Cruise, Oprah Winfrey, and Oliver Stone owning nearby property and frequently seen around town. Twenty years ago Telluride had a bad-boy reputation courtesy of the raucous festivals regularly hosted here and the drug culture that was part of its wild-west image. By the mid-1990’s the area had shed that baggage to establish itself as a premier resort in a spectacularly scenic – yet isolated – spot in southwest Colorado. It’s a bit of work to get to Telluride, via Colorado 145 from the west, or climbing over Imogene Pass or Black Bear Pass along high mountain roads to an in-town elevation of 8750 feet. In 2007 Telluride opened some of the most extreme in-bound hike-to-ski terrain in the country. Most lifts here are 4-passenger high speed quads, and the highest lift-access on the mountain unloads skiers at 12,570 feet. Even with a bounty of great ski areas in the state – including Aspen, Vail, and Breckenridge – the experts rate Telluride as the best major ski resort in Colorado.